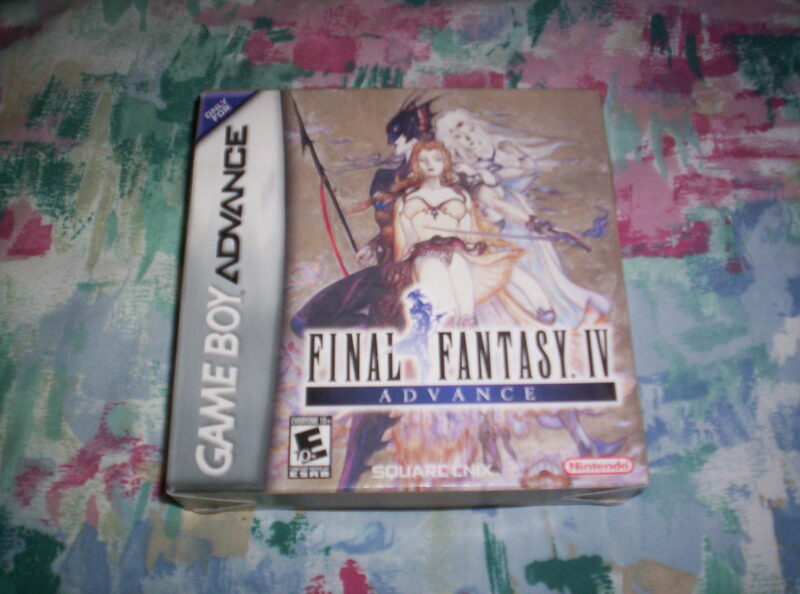 By the time Final Fantasy IV Advance came out for the Game Boy Advance I had already beaten this game on another console. I missed out on this game when it was first released on the Super Nintendo (as Final Fantasy II), so I didn’t play this game until I bought Final Fantasy Chronicles for my Playstation. Final Fantasy Chronicles has PS1 ports of Final Fantasy IV and Chrono Trigger. I remember picking a Gamepro magazine in the early 90s, reading their review of the Super Nintendo version of this game, and seeing them give this game a perfect score. I had plenty of opportunities to get my parents to buy me this game for my Super Nintendo but I always passed on it for some reason. Eventually I missed out on this game on the Super Nintendo and I didn’t play it until I got the PS1 port from Final Fantasy Chronicles. After playing it on my Playstation I really wished I had gotten it sooner. Ultimately Final Fantasy IV turned out to be one of my favorites in the Final Fantasy series. It’s got a great story and very memorable characters. So when I learned that a port of this game would be released for the Game Boy Advance, I knew I was going to get a copy since I wanted to play this game on handheld system as well. I really enjoyed playing this game on my Game Boy Advance. I have played and beaten this GBA version of Final Fantasy IV twice and I can definitely see myself playing through this GBA version again. If you have not played Final Fantasy IV and you like old school style RPGs, then I definitely recommend picking up a copy of this game. There’s also a really good remake version available for Nintendo DS as well. This entry was posted in Final Fantasy, Nintendo, Videogames and tagged Final Fantasy IV, Final Fantasy IV Advance, Final Fantasy IV Advance Game Boy Advance, Final Fantasy IV Advance GameBoyAdvance, Final Fantasy IV Advance GBA, Final Fantasy IV Game Boy Advance, Final Fantasy IV GameBoyAdvance, Final Fantasy IV GBA, Game Boy Advance, Game Boy Advance Games, GameBoyAdvance, GBA, GBA Games, My GBA Games, Nintendo, Nintendo Game Boy Advance, Nintendo Games, Nintendo GBA, video game, Video Games, Videogame, Videogames. Bookmark the permalink.